Patterns are currently available as digital downloads only. When you purchase a pattern, it is immediately available for download in the “My Downloads” section of your profile. If it’s your first time purchasing, you will create a profile when you check out. Patterns must be purchased one at a time. Your pattern purchase consists of multiple PDF files, including instructions, tiled patterns, copy shop size patterns, etc. Your confirmation email will detail which files you’ll see in “My Downloads”. Sew Long and Sew Happy! 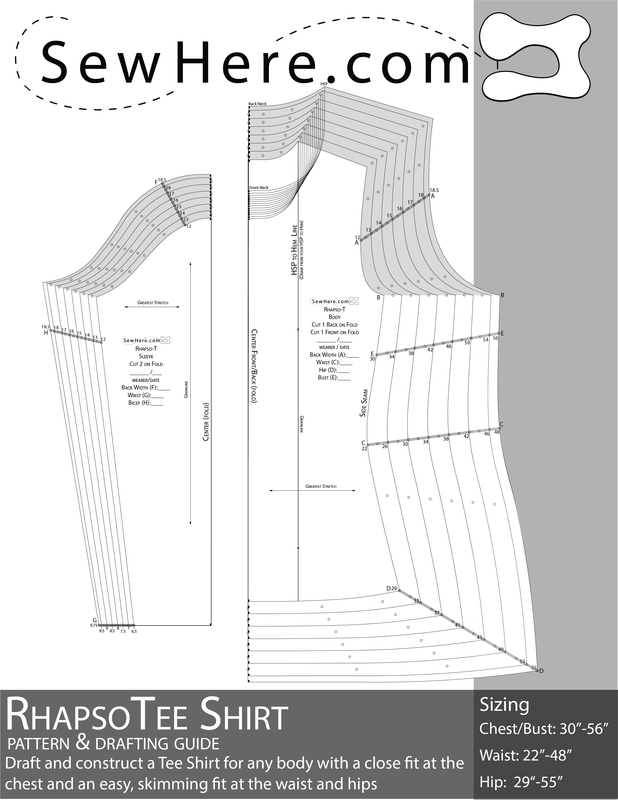 The T Shirt Pattern and Drafting Guide you’ve been searching for! Use YOUR body measurements (or anyone else’s) to make a perfectly fitting shirt. 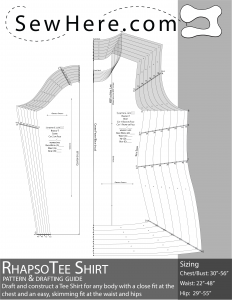 Instructions walk you through drafting, including the best way to accommodate a full bust, and you’ll also get basic T Shirt Construction instruction. Three videos on the concept, drafting and construction of the RhapsoTee are available now on YouTube. 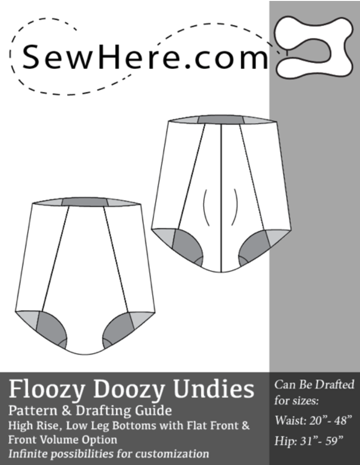 The Floozy doozy Undie Pattern and Drafting Guide takes you through the process of measuring and drafting a 4 panel high-waisted, low legged pair of bottoms for yourself or anyone whose measurements you can get your hands on! 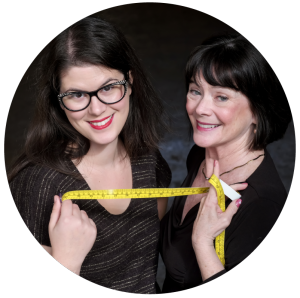 Once you have a pair of high-waisted, low legged bottoms, there are an infinite number of possibilities for customization. Raise the leg, lower the waist, even play around with using woven fabrics on the front and back panels. There are two views, one with front volume and one with a flat front. Your are the master of your genitalia, so play around with different shapes and materials to get the support and silhouette you desire. The construction technique outlined in the instructions results in a lined front and back panel and completely enclosed seams- or you can choose to make an un-lined pair of bottoms. Finish the bottoms with elastic, fabric bands, or try them on and feel like they’re so comfy that you’ll never take them off!